What is the Rock Climbing Instructor? The Rock Climbing Instructor training course is all about supervising safe climbing and abseiling sessions on single pitch crags. Whether you’re a parent, a volunteer or an outdoor centre instructor, the Rock Climbing Instructor has been designed to maintain high standards of supervision so that people can enjoy safe sessions in this increasingly popular sport. Our three-day course covers many skills designed to turn climbers into instructors who are able to motivate & coach rock climbing to a wide range of groups. Over the three days, we focus on group sessions, rigging, abseiling and coaching. 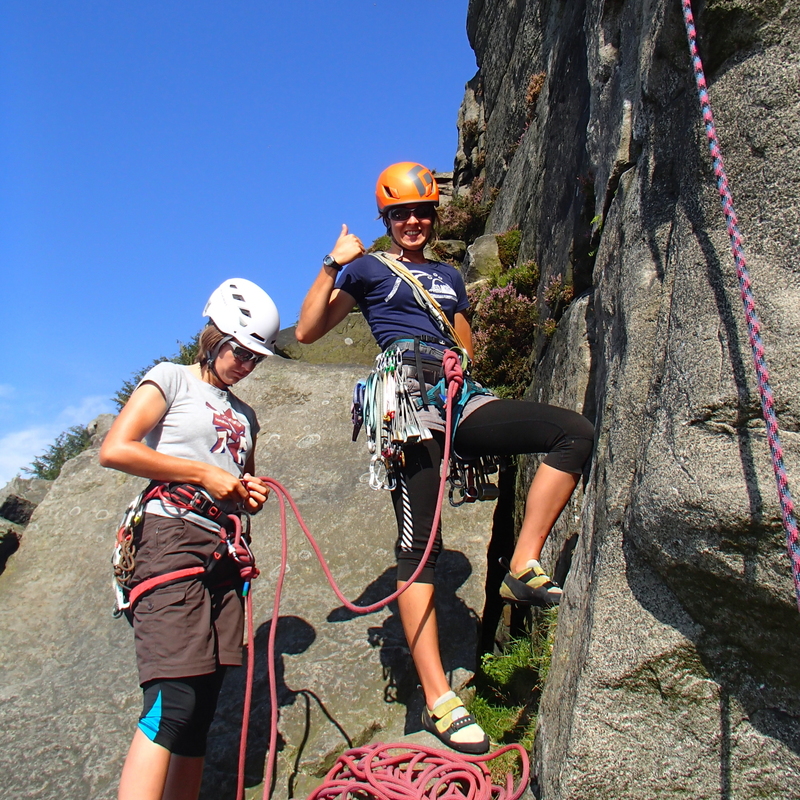 As well as a focus on group instructing skills we also cover the important aspects of personal climbing skills. Why do your Rock Climbing Instructor training course with us? 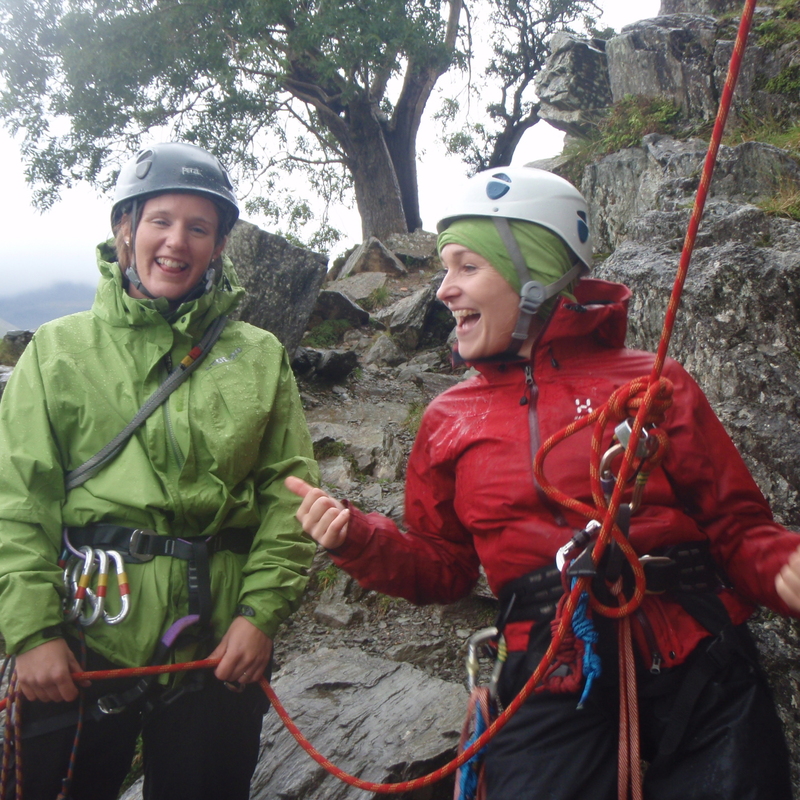 We have been a provider of Rock Climbing Instructor (formally known as the Single Pitch Award) courses for many years and we draw on a wealth of experience. We bring to the course not only a vast level of training and coaching experience but we also run many actual sessions for real groups and so remain really current with hands-on delivery. Running sessions for scouts, schools, young families, beginner climbers, teaching leading and rigging to university students, adult groups, etc. This allows us to stay current and continually assess our course delivery. As a result of this, we deliver courses that are practical, simple and give you effective skills to develop your rock climbing sessions. We have spent a lot of time analysing best practice and strive to be the best that we can be. We aim to deliver courses in a clear and thought through style, that is progressive and structured and yet flexible enough to allow discussion and new ideas. We understand that candidates have different learning styles and we aim to deliver our courses to reflect this. We run the Rock Climbing Instructor courses as non-residential. That way we can meet candidates at the crag and spend more time at the venue. Please see this link for suggestions of accommodation. 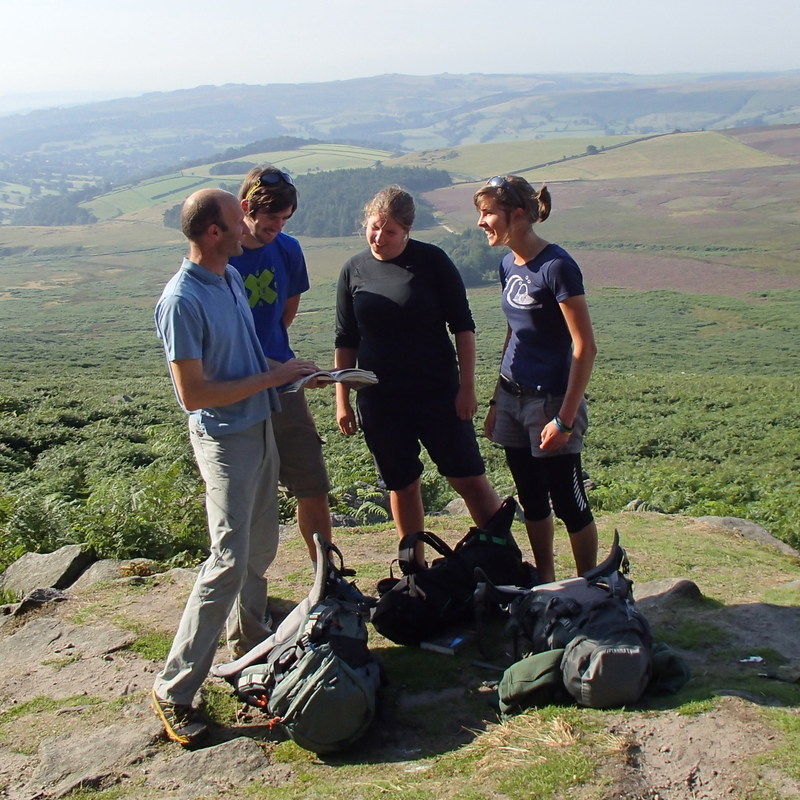 You must be registered with Mountain Training to do this course. You must create an account with Mountain Training and register on the scheme. The best way to do this is on the Mountain Training website. Sometimes candidates don’t realise that they need to create an account and also register on the chosen scheme. This video clip runs through all the steps to being registered. 5 led routes which must be outdoor bolt protected sports climbs. Mountaineering Council of Scotland or Mountaineering Ireland). If you haven’t already registered then you need to visit www.mountain-training.org to complete this process. Please ensure you have entered your minimum prerequisites in your digital logbook at the time of confirming your place on the training course. Please follow this link to the Mountain Training resources page for the Rock Climbing Instructor scheme. You can also access this through your Mountain Training account page in your Dlog. The Rock Climbing Instructor training course has a minimum course delivery time of 24 hours. We run our courses over three full days giving you 24 hours of contact time. We want you to be as confident as possible at the end of the course, fully understanding what to practice and build on as you prepare for assessment. Below is an outline of skills that we will look at over the three days. We will vary the days and make the most of the weather, so if one day is really wet, that will be the indoor wall day. We meet at 8:30 am on the morning of the first day and then travel to a crag (venue arranged around the weather). Head into the climbing wall. We will meet at 9 am and head out to a crag to consolidate skills learned over the last two days. The course follows the Rock Climbing Instructor syllabus. Revisions may occur to take account of weather and other considerations, whilst still satisfying the spirit and detail of the scheme. Rock Climbing Instructor holders should be competent in the following key areas, all of which will be covered, to a greater or lesser extent, during your three-day training course. Detailed information on each of the above topics can be found in the Rock Climbing Instructor handbook and the onus is on you to be competent in all of them by the time you come to assessment. Group review allowing for notes to be taken, sketches of rigging setups. Setting up a group abseil with safety and abseil rope, locking off the Italian hitch, release ability, ease of access and take off point, instructor safety and different rope systems, what happens at the bottom of the rope, group safety before and after abseiling, tandem abseil and abseil pickups, simple problem solving e.g stuck coat/hair etc. Discussion of different venues. We aim to go to two different venues in the morning and afternoon session. Skills include different belay techniques, involving the group in the belay system/peer belaying, tying on vs crabbing on, climbing calls, ground anchors, avoiding problems, techniques for safe lowering, simple problem solving if things go wrong Ensuring the static rope is over the edge of the crag, use of rope protectors, different attachment methods for the dynamic rope pros and cons e.g. single or double crabs, pulleys, figure eights. Anchor choice and type, different knots, critical angles. Fast and efficient ways of rigging. Setting up a system where the instructor is out of the system. Different methods. Climbing calls and tying on. Belaying using a plate and Italian hitch. Access above crag for groups. Hand lines. Pro’s and Con’s of each system and when each is appropriate. Dealing with nervous or difficult clients. Each candidate to lead climbs they feel comfortable on. 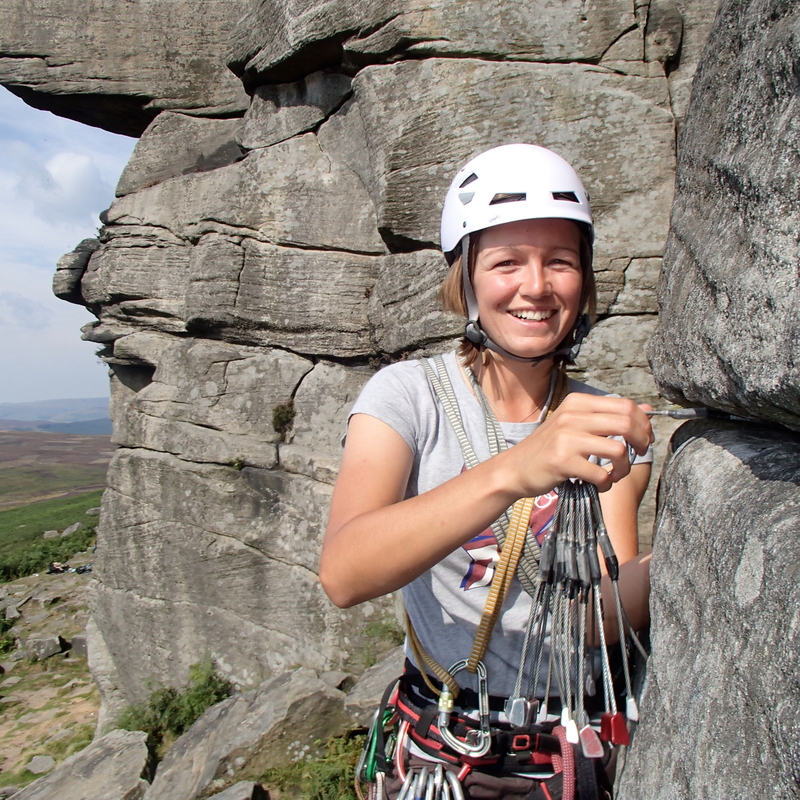 Focusing on: ” Instructor appearance and role modelling to show best practice ” Choice of crag and route ” Using a guidebook ” Seasonal restrictions at crags ” Climbing calls and instructions to the novice second before leaving the ground e.g. nut key use etc ” Where the second should stand and teach belaying to a novice second ” Good gear placement appropriately spaced ” Awareness of rope line ” Awareness of length of runner to be used ” Placement of the first runner ” Rigging at the top including anchor choice and rope system. Independence of anchors etc. ” Correct use of belay plate ” Lowering of a climber ” Locking off the belay plate ” Simple problem solving ” What to do with the second at the top ” Dealing with additional climbers ” Retrievable abseil ” Coaching where possible to improve the candidates climbing ability and confidence and to improve their skills and efficiency. Rock Climbing Instructor training course cost £240. 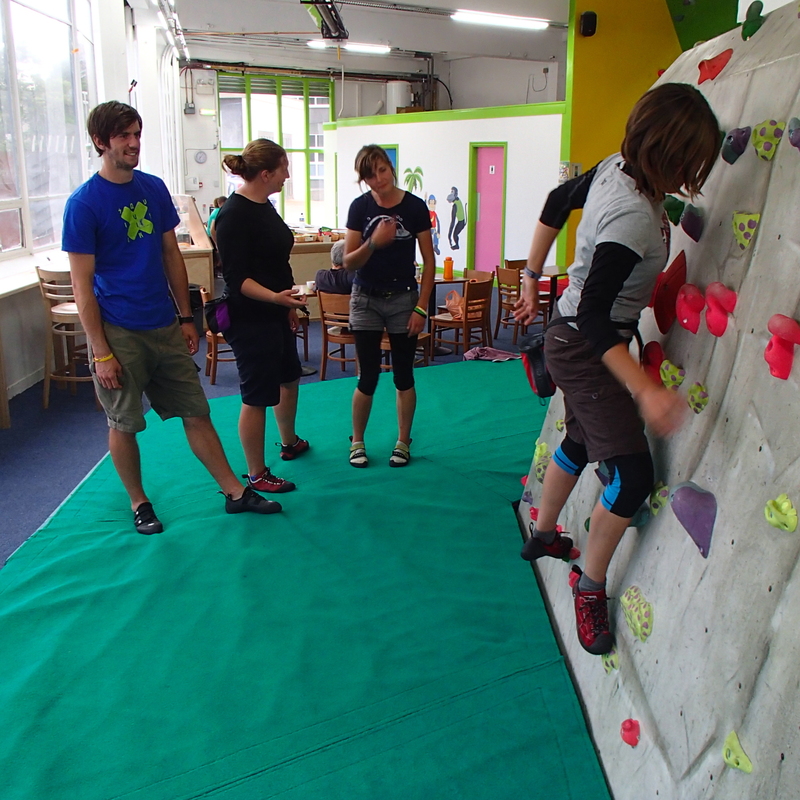 Climb365 will cover the cost of your entry into the climbing wall. Once you have booked online, you will receive a confirmation email for your booking with all the arrangements for your course.